These metallic Cool Portable video high quality Mp4 players are available in 4Gb and 8Gb sizes, and come in many popular colours. It comes with a Built-in FM Radio. - Multi-language is selectable to 23 different languages. Its comes with a 2 1/4 inch TFT Color Screen. - Audio format: Supports Mp3, WMA, WAV and other music formats, - ID3 display with lyric synchronization. - EQ: ROCK, POP, CLASSIC, SOFT, NATURAL, JAZZ, DBB. - Video: Supports AVI, (Audio Video Interleave) RMVB (Real Media Variable Bitrat) video formats. Includes Camera: 0.3 Megapixel can take photos and video - Battery: Built-in Li-ion battery, Long time high quality recording possible. - Also Supports E-book, Games, Voice Recorder, Stopwatch, Calculator,Calender. - Picture format: Supports JEPG/BMP/GIF - Compatibility: PC, Notebooks or Macintosh via USB port. - Operating systems: Windows 7 / Vista/XP / 2000 / ME. 98/95 or Mac OS9.1 and above. - Transferate: High speed USB2.0 - 1.1 USB Compatable. - Packing Accessories: Standard plastic clear Box, Earphones, USB Cable, User Instructions. Simple to use, just connect USB cable to computers USB and device USB, select Mp3,video or picture files of choice and drag to flash drive. - Weight: approx. 100g Size: L-70mm, W-54mm, H-8mm - MP4: mp4\digital mp4\mp4 player\flash mp4 player\digital mp4 player\portable mp4 player\usb mp4 player \flash mp4\ mp4 digital player \game mp4. 1 year makers warranty. They are compatible with PC, Notebooks or Macintosh computors via USB port. Comes in a Standard clear box with earphones, USB Cable and user instructions. 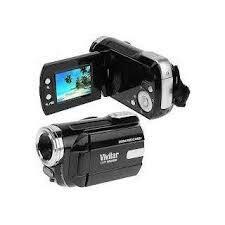 We are giving away - Absolutly Free these Superp Digital HD Video Recorders with every Star for a day PoP Party session booked from now until the of the year!!!! Also we are giving away these fanastic MP4 players with all of our other Star for a day sessions. All you need to do is to book between now and the 31st December 2014 and you will receive your FREE gift.